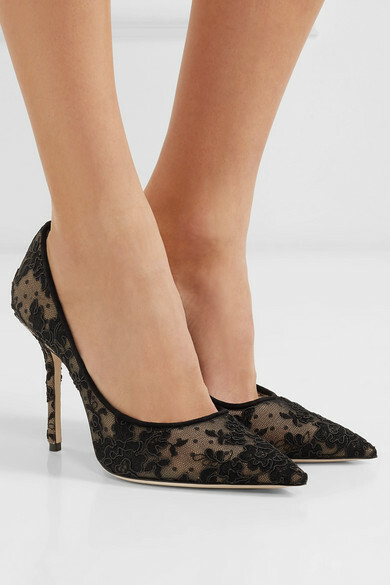 Jimmy Choo's 'Love' shoes are the label's newest pointed pump - they're updated with sleeker toes and more sculpted heels than ever before. 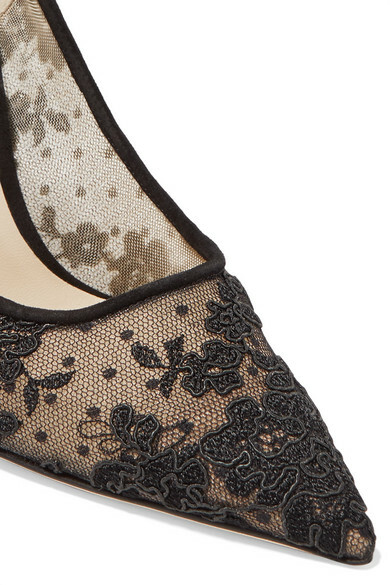 This pair has been made in Italy from black Swiss-dot tulle and corded lace, and trimmed with velvet. They're lined in leather for comfort. Shown here with: Haider Ackermann Dress, Hillier Bartley Clutch, Alexander McQueen Belt, Ellery Earrings.